Join the tops of French luxury: indulge in a chalet in the Alps or the Pyrenees. The French summits are an exceptional setting for charming and authentic stays. 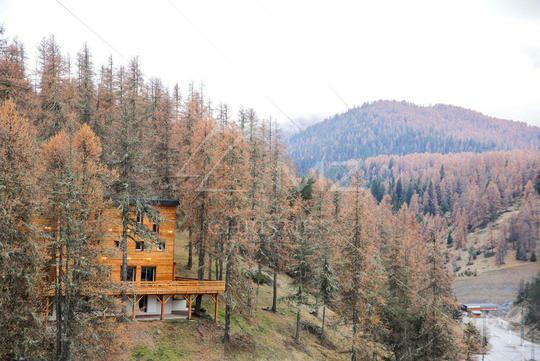 From Val d'Isere to La Mongie, enjoy the invigorating mountain experience with a French chalet. France is the world's leading destination for skiing - ahead of the United States and Austria - with nearly 55 million skier-days per year. A fifth of its territory is covered by mountains, which are divided into seven ranges, making it the first ski area in Europe. The French mountains are especially known for their alpine resorts such as Courchevel, Megève, Chamonix and Méribel. Mont Blanc, the highest peak in Europe (4808 m), can also be found in the French Alps. But mountain lovers should also catch a glimpse of the Pyrenees. Font Romeu, Piau Engaly and Saint-Lary-Soulan stand out by their strong sunlight! An ideal setting to buy a French chalet. 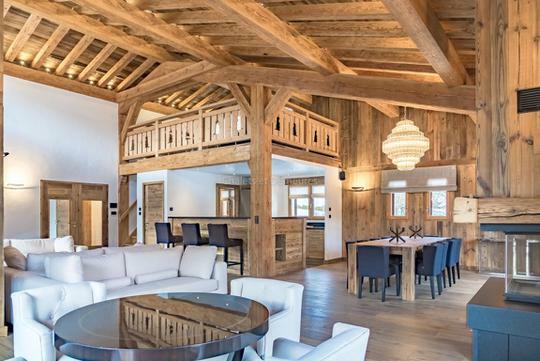 The iconic French chalet is a must-have of ski resorts. Its wooden architecture is charming, but it is also the most suitable material for humidity control and to fight allergies. Besides, when the surrounding landscape is covered in snow, wood brings a touch of warmth to the chalet ... Investing in a French cottage also allows one to get a hold of the human warmth of Alpine and Pyrenees ski resorts: this is the perfect place to gather around a good meal. Tartiflette, raclette and Savoyard fondue await you!